One of the fun protocol aspects of her job there is periodically greeting jurists and legal groups from other countries – often their equivalents to our Supreme Court justices. She’ll give them a VIP tour behind the scenes and entertain their questions and observations about the comparisons and contrasts between legal systems. This frieze, an interesting piece of architecture in the U.S. Supreme Court’s impressive Court Chamber, often serves as a telling point for insight into judicial history; the Court’s own public document describing the building says only that “The frieze is decorated with medallion profiles of lawgivers,” but in fact included there are a procession of 18 famous lawgivers including Egypt’s own King Menes, Hammurabi, Moses, Confucius, Mohamed, Napoleon, and early Chief Justice John Marshall among others, a collection which always impresses international visitors. 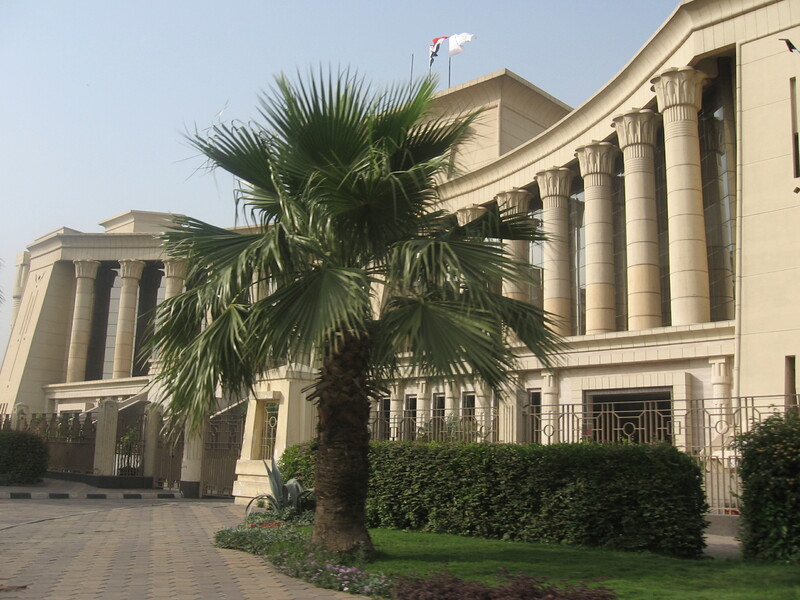 Anyway, while in Cairo this month, at my wife’s behest I made sure to go by the Supreme Constitutional Court of Egypt (SCC). It is an absolutely stunning building; I have a few other photographs here. 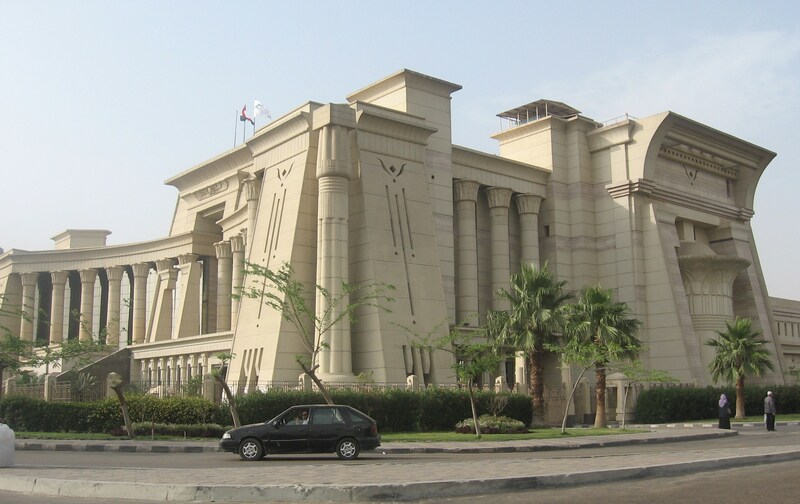 There’s a good Wikipedia article on Egypt’s SCC, which points out that “The Court’s new building is designed by an Egyptian young architect Ahmed Mito. The building is styled in a monumental scale. It includes counseling halls, a multi purpose hall for 450 people, offices, a library, a museum, and a large atrium that rises up to 18 meters and is covered by a dome.” And there’s more architectural background and context at this link. Next visit, I would love to set up a meeting with Court personnel to learn more about their work. to start my own blog soon but I’m having a tough time choosing between BlogEngine/Wordpress/B2evolution and Drupal. The reason I ask is because your design and style seems different then most blogs and I’m looking for something unique.